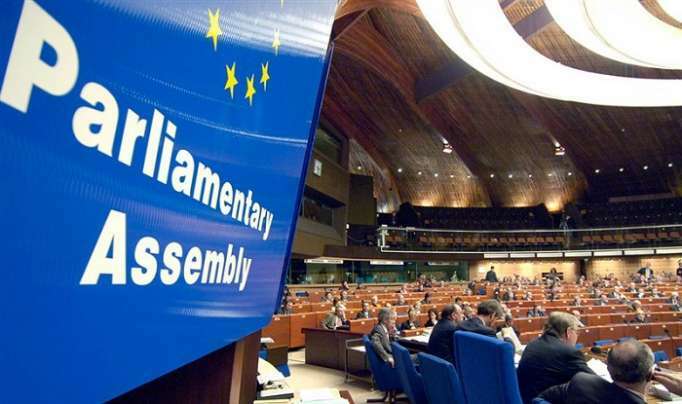 An Azerbaijani parliamentary delegation will take part in the spring session of the Parliamentary Assembly of the Council of Europe(PACE) to be held in Strasbourg on April 21-29, the parliament told AzVision.az. The Azerbaijani delegation will be headed by Samad Seyidov, chairman of the parliament’s Committee on international and inter-parliamentary relations, head of the Azerbaijani delegation to the PACE. The Azerbaijani delegation includes MPs Rafael Huseynov, Sevinj Fataliyeva, Sahiba Gafarova, Ulviyya Aghayeva, Asim Mollazade, Elshad Hasanov, Vusal Huseynov and Sabir Hajiyev. A progress report of the Bureau and the Standing Committee will be heard during the spring session. Debates on a report on climate change and implementation of the Paris Agreement, the status of journalists in Europe, the situation in Libya: prospects and role of the Council of Europe, hybrid war and human rights obligations, drug-resistant tuberculosis in Europe and integration, empowerment and protection of migrant children through compulsory education will be held at the session. In addition, a report on humanitarian needs and rights of internally displaced persons in Europe will be heard, and the plight of internally displaced persons in Azerbaijan will be discussed during the PACE session.